This beautifully handcrafted wooden xylophone is sure to be a big hit with any future musician. 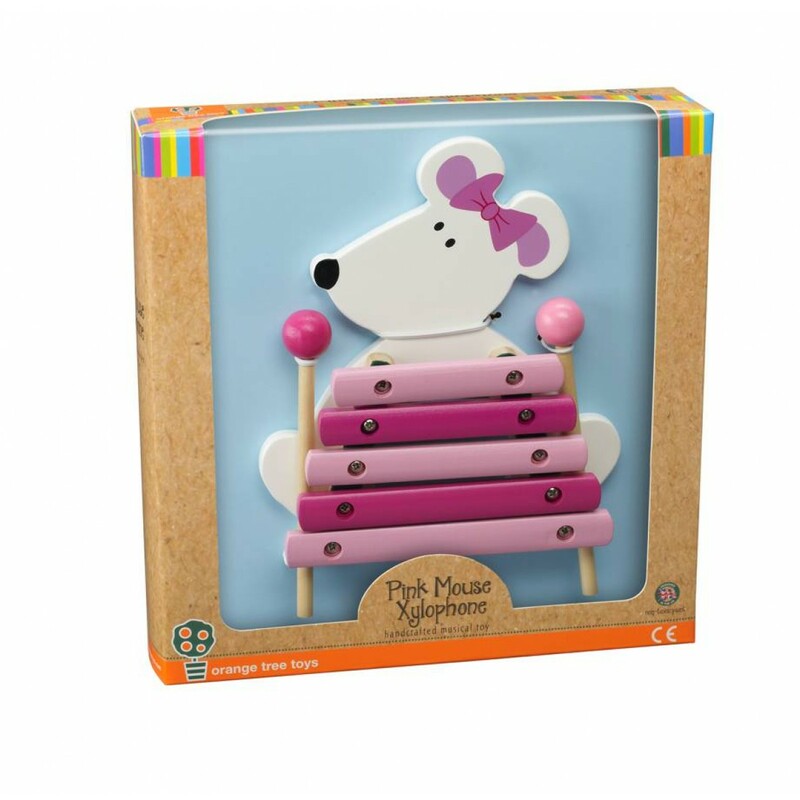 With a cute mouse design, colourful keys and extra grippy sticks that will fit into even the smallest of hands, this wonderful musical toy is sure to delight your little one. Strikingly packaged in a clear screen box, it's the perfect gift for any child with a song in their heart. A fantastic first musical instrument that will help develop your child's understanding of rhythm and melody. Bright, colourful and super cute, children are sure to have fun while discovering music. Beautifully packaged, it's a high quality but great value gift for any occasion. All Orange Tree toys comply with EN71 European Testing Standards and are all CE marked.